(mainly because of the tamarind bars), I dropped by the 99 Cent Only Store. Hot sauce is your friend. It's not obvious from the picture but this is a pretty big can. I don't want to oversell the virtues of these stores or understate the challenges of maintaining a healthy diet near the poverty line, but too many of the people driving the hunger debate are coming from a Whole Foods sensibility and they inevitably screw up the discussion no matter how good their intentions may be. I don't have time to delve into this as deeply as I would like, but there's an interesting labor story developing here in LA. It pits union management against people who are normally very pro-labor. Here's a slightly edited rant on the subject by Ken Levine. This is consistent with something I've noticed about bicoastal musicians I've gotten a chance to talk with over the past few years. At least for small venues, everyone makes much more money back east, particularly in NYC. Audiences just seem to be willing to pay more. In LA, performers tend to make their money in recorded media. Live performance plays more of a supporting role, developing craft, making connections, workshopping material. The proposed rule changes probably make sense from a New York vantage point, but most LA actors don't think they make sense here. It takes a couple of minutes, but most of this relates to our old friends, the flack-to-hack ratio and the tame media. And you gotta love the Babe Ruth story. A while back I posted some vintage NASA videos at the teaching site. In keeping with our recent space thread, I thought I'd post one here as well. As mentioned before, two of the major issues in the Mars One involve the definition of "existing" technology and the way the project fails to account for technological unknowns and development costs. Case in point, the proposed Mars rover, which will have to greatly exceed any of its predecessors in functionality while remaining small enough to be lowered by sky crane (assuming that Mars One isn't planning on developing entirely new EDL [entry, descent and landing] technology). Here are some relevant passages from the Mars One website [emphasis added]. Mars Landing Module: Mars One will secure the landing modules from one of the experienced suppliers in the world, for example Lockheed Martin. Similar landers will be equipped to perform different functions. Rovers: Two rovers will be sent to Mars to set up the outpost before the humans arrive. One of them will explore the surface of Mars in search of the most suitable location for the settlement, transport of large hardware components, and the general assembly. Mars One’s rover supplier will determine the exact rover strategy; it is possible that instead of one large rover, multiple smaller rovers will be sent. For example, a main rover accompanied by a trailer system used for transporting the landing capsules. You often encounter this kind of nonchalance about details in statements from Mars One, along with absolute confidence in the budget estimates that were based on those vague details. The Mars One roadmap gives an idea of just how versatile the rover will have to be. Keep in mind, all of this has to be done autonomously before the first crew arrives. One intelligent rover and one trailer will be launched. The rover can use the trailer to transport the landers to the outpost location. On Mars, the rover drives around the chosen region to find the best location for the settlement. An ideal location for the settlement needs to be far enough North for the soil to contain enough water, equatorial enough for maximum solar power, and flat enough to facilitate the construction of the settlement. When the settlement location is determined, the rover will prepare the surface for the arrival of the cargo missions. It will also clear large areas where the solar panels will lie. The six cargo units will land up to 10 km away from the outpost on Mars. The rover will pick up the first life support unit using the trailer, place the life support unit in the right place, and deploy the thin film solar panel of the life support unit. The rover will then be able to connect to the life support unit to recharge its batteries much faster than using only its own panels, which will allow it work much more efficiently. The rover will pick up all the other cargo units and deploy the thin film solar panel of the second life support unit and the inflatable sections of the living units. The rover will also deposit Martian soil on top of the inflatable sections of the habitat for radiation shielding. We are talking about a lot of soil here (think five meters) and a lot of heavy lifting and a lot of precise work. Add to that concerns like dust and the need to be absolutely maintenance-free (if the rover breaks down, future launches can't proceed). To accomplish all of this will require a tremendous amount of engineering talent. Mars One claims this can be done quickly at bargain-basement prices. NASA called for proposals for the rover's scientific instruments in April 2004, and eight proposals were selected on December 14 of that year. Testing and design of components also began in late 2004, including Aerojet's designing of a monopropellant engine with the ability to throttle from 15–100 percent thrust with a fixed propellant inlet pressure. By November 2008 most hardware and software development was complete, and testing continued. At this point, cost overruns were approximately $400 million. In the attempts to meet the launch date, several instruments and a cache for samples were removed and other instruments and cameras were simplified to simplify testing and integration of the rover. The next month, NASA delayed the launch to late 2011 because of inadequate testing time. Eventually the costs for developing the rover did reach $2.47 billion, that for a rover that initially had been classified as a medium-cost mission with a maximum budget of $650 million, yet NASA still had to ask for an additional $82 million to meet the planned November launch. In case you were wondering what a sky crane looked like. This is one of the many reasons why aerospace people roll their eyes when Mars One CEO Bas Lansdorp starts talking about being able to carry out the project just using existing technology. There’s no comfort in the statistics for missions to Mars. To date over 60% of the missions have failed. The scientists and engineers of these undertakings use phrases like “Six Minutes of Terror,” and “The Great Galactic Ghoul” to illustrate their experiences, evidence of the anxiety that’s evoked by sending a robotic spacecraft to Mars — even among those who have devoted their careers to the task. But mention sending a human mission to land on the Red Planet, with payloads several factors larger than an unmanned spacecraft and the trepidation among that same group grows even larger. Why? Surprised? Most people are, says Rob Manning the Chief Engineer for the Mars Exploration Directorate and presently the only person who has led teams to land three robotic spacecraft successfully on the surface of Mars. “It turns out that most people aren’t aware of this problem and very few have worried about the details of how you get something very heavy safely to the surface of Mars,” said Manning. He believes many people immediately come to the conclusion that landing humans on Mars should be easy. After all, humans have landed successfully on the Moon and we can land our human-carrying vehicles from space to Earth. And since Mars falls between the Earth and the Moon in size, and also in the amount of atmosphere it has then the middle ground of Mars should be easy. “There’s the mindset that we should just be able to connect the dots in between,” said Manning. But as of now, the dots will need to connect across a large abyss. But what about airbags, parachutes, or thrusters that have been used on the previous successful robotic Mars missions, or a lifting body vehicle similar to the space shuttle? If you're interested in aerospace, I'd recommend reading the entire article. It walks through all of the not-very-good options in detail. Still working on a Mars One article and passing off my notes as blog posts. Although the ethical and legal challenges facing Mars One are considerable, this venture will ultimately rise or fall on the technical and engineering elements. The stated aim of Mars One, according to their website, is to use “existing technologies available from proven suppliers.”1 This statement provides the first crucial difficulty. At each crucial phase of the mission—travel to Mars, landing, and establishing a permanent colony—the claim that of utilizing existing technology is unsustainable. For example, at present the only existing operational human spaceflight vehicle is the Russian Soyuz capsule. Mars One states that the existing technology that will be used to traverse millions of kilometers from the Earth to Mars will instead be a variant of SpaceX’s Dragon capsule. To call the considerable research and development that this would require as “existing technology” is, at best, grossly oversimplifying the issue. The Mars One project also provides no detail in respect of the development of reliable and effective life support systems and the problematic subject of dealing with human waste disposal. These are issues that will ultimately need to be solved for a successful mission to Mars, and there is significant research and development activity ongoing in this area.2 Such technology is, however, by no means “existing” without a significant amount of investment in research and development. The picture is very much the same when considering the critical issue of landing the Mars One colonists on the Martian surface. Considered one of the most problematic aspects of human exploration, it is this aspect of the Mars One project where the notion of using existing technology is exposed as being dangerously misleading. The existing technology that has landed rovers on Mars is inadequate for landing humans.3 The Martian atmosphere poses considerable and serious challenges for landing a heavy payload onto the surface. The atmosphere varies considerably, making it extremely difficult to scale up existing technology used to land small rovers. Supersonic retropropulsion, which at present seems the most promising method of overcoming the obstacles posed by the variable Martian atmosphere, still requires expensive research and development.4 Again, this is not a problem unique to the Mars One project. It is, however, a fundamental obstacle to a 2023 mission with a projected budget of $6 billion. Such assertions are, however, inconsistent with the stated aim of using existing technology. Either Mars One will utilize existing technology that has been tested in space on the ISS (in which case the MIT study is valid), or they will be looking to extrapolate new, untested methods of ISRU, which raises questions of reliability and cost in terms of money and time. In any event, the MIT study did not consider issues such as establishing a reliable power system and communications network, as well as the costly issue of spacesuit and habitat development. All these issues raise further questions about the technical feasibility of the entire venture. I was checking my mail the other day and I saw this. 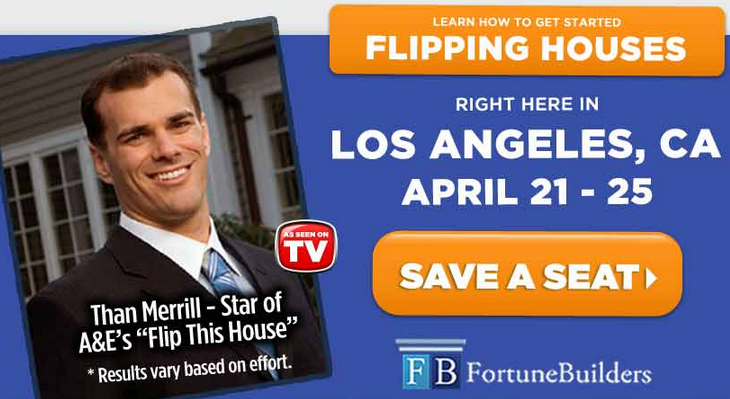 I don't want to wast too much time on the marketing ethics of people who pitch house-flipping seminars. They are both too easy to criticize and largely immune to criticism. Still, this one phrase struck me as too perfect to let pass. The implication is that success is solely a function of effort and (implicitly) belief. I suppose this has always been associated with get-rich-quick schemes, but the underlying idea has become disturbingly common in a number of places including many corporations where aspirational language has become the official newspeak. For a case study of how this works in real life, I refer you to Duke Fightmaster. I broke down and posted this College Humor video at the teaching site. Obviously, you can see the gag coming, but it's well sustained and besides, how often does math humor close in one a million hits? When people try to argue for funding private space exploration through television revenues, the remarkable viewership of Apollo 11 is often mentioned, but since it's difficult to monetize a spike, we should probably consider the performance of all of the missions. The spectacle of lunar conquest would have a short-lived hold on the attention of the American public. Aside from a spike during the imperiled Apollo 13 mission, viewership waned throughout the remainder of the lunar program. The networks responded accordingly by allotting less and less time to space coverage. Each network devoted fifty-plus hours of airtime to Apollo 11; NBCs thirty-five hours of coverage of Apollo 12 far outdistanced that provided by its two competitors. And by the time Apollo 17 made the country’s final moon voyage in December 1972, only one television station in the country – Houston’s public television outlet -- showed the entire twenty-plus hours worth of lunar surface excursions. The public, it seems, had made up its mind about the space program long before Armstrong’s boot had hit lunar dust. A national survey on the eve of Apollo 11 indicated that Americans backed the moon landing by a 51-to-41 percent margin, essentially reversing the results of a similar survey months earlier. Beneath the surface though, the same poll showed that the country hadn't changed at all: More than half of the citizenry still thought the annual 4 billion price tag for the space program wasn't worth it, a percentage that had varied little since the mid-1960s. Given the amount of time and money they had invested toward the lunar conquest though, Americans made the decision to enjoy the resulting blockbuster when it was released over the country’s airwaves. Most had little interest in the sequels. I have got to clean out my draft folder. This is a post about a fluff piece about a 25-year-old bubblegum movie. Suffice it to say, the point of diminishing returns is fairly close, but still this "All Things Considered" piece on the anniversary of Back to the Future provides a too-good-to-ignore example of some of the issues we've talked about involving journalism and technology. 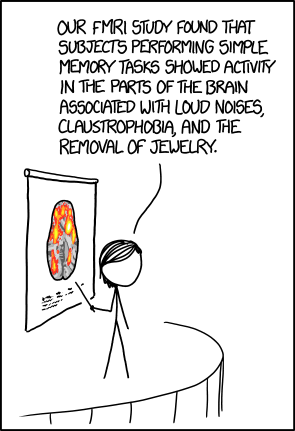 Specifically the issues are treating weak indications of progress the same as strong indications, rearranging chronology and not doing background research. When we talk about the march of technology, how exactly do we know when something has arrived? We could make the case for various standards ranging all the way from the very strict (the technology is in wide use and has stood the test of time) to be very lax (people are talking about maybe doing it someday). Whatever the standard, we need to be self-aware and consistent. This exchange from a recent All Things Considered story about flying cars and hoverboards illustrated the questionable way journalists often treat prototypes. [LOURDES] GARCIA-NAVARRO: Not quite standard issue as predicted, but the idea may not be so far off. A company called AeroMobile [sic*] successfully tested a two-seater car-airplane hybrid last year. [ROBERT] SIEGEL: And speaking of flying, yes, we do have hoverboards. They cost $10,000, but the Hendo hoverboard company has created a working model that looks surprisingly similar to the one in the movie, minus the bright pink paint. I've covered the Hendo previously. You can see the full rundown here, but to sum up: cool, potentially viable, but not at all what most journalists seem to think it is. For now, let's focus on the first part. Somehow flying cars have become the go-to example of either just-around-the-corner or unfulfilled technology depending on the writer's angle. It's a curious choice, partly because the roadblocks (if you'll pardon the metaphor) probably have more to do with non-technical issues and partly because so few writers bother to spend the ten or fifteen minutes needed to check some facts on Wikipedia. In 1926, Henry Ford displayed an experimental single-seat aeroplane that he called the "sky flivver". The project was abandoned two years later when a distance-record attempt flight crashed, killing the pilot. The Flivver was not a flying car at all, but it did get press attention at the time, exciting the public that they would have a mass-produced affordable airplane product that would be made, marketed, sold, and maintained just like an automobile. The airplane was to be as commonplace in the future as the Model T of the time. In 1956, Ford's Advanced Design studio built the Volante Tri-Athodyne, a 3/8 scale concept car model. It was designed to have three ducted fans, each with their own motor, that would lift it off the ground and move it through the air. In public relation release, Ford noted that "the day where there will be an aero-car in every garage is still some time off", but added that "the Volante indicates one direction that the styling of such a vehicle would take". In 1957, Popular Mechanics reported that Hiller Helicopters is developing a ducted-fan aircraft that would be easier to fly than helicopters, and should cost a lot less. Some estimated that in 10 years a four-place fan would cost like a good car. Hiller engineers expected that this type of an aircraft would become the basis for a whole family of special-purpose aircraft. In 1956, the US Army's Transportation Research Command began an investigation into "flying jeeps", ducted-fan-based aircraft that were envisioned to be smaller and easier to fly than helicopters. In 1957, Chrysler, Curtiss-Wright, and Piasecki were assigned contracts for building and delivery of prototypes. They all delivered their prototypes, however Piasecki's VZ-8 was the most successful of the three. While it would normally operate close to the ground, it was capable of flying to several thousand feet, proving to be stable in flight. Nonetheless, the Army decided that the "Flying Jeep concept [was] unsuitable for the modern battlefield", and concentrated on the development of conventional helicopters. In addition to the army contract, Piasecki was developing the Sky Car, a modified verision of its VZ-8 for civilian use. In the mid-1980s, former Boeing engineer, Fred Barker, founded Flight Innovations Inc and began the development of the Sky Commuter, a small duct fans-based VTOL aircraft. It was a compact, 14-foot-long two-passenger and was made primarily of composite materials. In 2008, the remaining prototype was sold for £86k on eBay. This is not an exhaustive list. Among others, it notably omits Moulton Taylor's Aerocar which made its first flight in 1949. As a general rule, it is dangerous to read too much into any prototype demonstration. Even if that preliminary model can actually do what it appears to (and there is a long history of staged demonstrations), all that prototype really gives you is proof of concept. You still have to find a way to manufacture the product cheaply and reliably and to find a market for it (history is full of failed products that everyone assumed everyone would want). You could make a case for the 1917 Curtiss Autoplane being the first working model of a flying car (assuming you are willing to be fairly broad with your definition of 'flying.). At the risk of putting too fine a point on all this, after fifty to one hundred years of announcements of prototypes of flying cars, another announcement, almost by definition, does not constitute "progress." I am not saying that this latest model doesn't represent a real advance – – it probably does – – nor am I implying that the makers will not be able to overcome the various technical and commercial road blocks – – they very well may. It is entirely possible that this will usher in a new age of personal aviation (though a side-by-side comparison of the Taylor Aerocar and the AeroMobil 3.0 does not suggest a huge breakthrough, particularly given the sixty-six year age difference). What I am saying is that journalists need to be better at discussing technology. They need to stop confusing vague promises with working prototypes and working prototypes with commercially viable technology. They need to start thinking critically about what they hear. And finally, they need to learn how to find Wikipedia on their computers. Kwak and Felix Salmon both have smart things to say on the subject while James Stewart continues to show his skill at saying what a large segment of his audience wants to hear. One of these days I plan on doing something about how television, particularly in its early days, resurrected all sorts of fading stars and franchises. In the meantime, I decided to check out how the fame of some of these stars of franchises tracked according to Google's n-gram viewer. Early television programmers were hungry enough to dig deep in the vaults, even to the silent era. The difference between Keaton and Lloyd was particularly telling though I suspect that Keaton's films aging better was also a factor (Sherlock Jr. is the best comic film ever made. Anyone who cares to disagree can step outside). Keaton embraced the medium early. In 1950, Keaton had a successful television series, The Buster Keaton Show, which was broadcast live on a local Los Angeles station. An attempt to recreate the first series on film as Life with Buster Keaton (1951), which allowed the program to be broadcast nationwide, was less well received. He also appeared in the early television series Faye Emerson's Wonderful Town. A theatrical feature film, The Misadventures of Buster Keaton, was fashioned from the series. Keaton said he canceled the filmed series himself because he was unable to create enough fresh material to produce a new show each week. Keaton also appeared on Ed Wynn's variety show. At the age of 55, he successfully recreated one of the stunts of his youth, in which he propped one foot onto a table, then swung the second foot up next to it, and held the awkward position in midair for a moment before crashing to the stage floor. I've Got a Secret host Garry Moore recalled, "I asked (Keaton) how he did all those falls, and he said, 'I'll show you'. He opened his jacket and he was all bruised. So that's how he did it—it hurt—but you had to care enough not to care." In 1952 Keaton appeared with Charles Chaplin in Limelight (1952 film). Unlike his contemporary Harold Lloyd, who kept his films from being televised, Keaton's periodic television appearances helped to revive interest in his silent films in the 1950s and 1960s. In 1954, Keaton played his first television dramatic role in "The Awakening", an episode of the syndicated anthology series Douglas Fairbanks, Jr., Presents. About this time, he also appeared on NBC's The Martha Raye Show. Here's an ad from the sixties when Keaton was pushing 70. Check out the reaction to the "moo." Westerns, particularly juvenile Westerns were also a natural fit. The most notable early success was a popular but second tier character played by a very shrewd fellow named William Boyd. Boyd resumed production  in 1946, on lower budgets, and continued through 1948, when "B" westerns were being phased out. Boyd thought Hopalong Cassidy might have a future in television, spent $350,000 to obtain the rights to his old films, and approached the fledgling NBC network. The initial broadcasts were so successful that NBC could not wait for a television series to be produced and edited the feature films to broadcast length. On June 24, 1949, Hopalong Cassidy became the first network Western television series. The success of the television series made Boyd a star. The Mutual Broadcasting System began broadcasting a radio version, with Andy Clyde (later George MacMichael on Walter Brennan's ABC sitcom The Real McCoys) as the sidekick, in January 1950; at the end of September, the show moved to CBS Radio, where it ran until 1952. The series and character were so popular that Hopalong Cassidy was featured on the cover of national magazines such as Look, Life, and Time. Boyd earned millions as Hopalong ($800,000 in 1950 alone), mostly from merchandise licensing and endorsement deals. In 1950, Hopalong Cassidy was featured on the first lunchbox to bear an image, causing sales for Aladdin Industries to jump from 50,000 to 600,000 in one year. In stores, more than 100 companies in 1950 manufactured $70 million of Hopalong Cassidy products, including children's dinnerware, pillows, roller skates, soap, wristwatches, and jackknives. There was a new demand for Hopalong Cassidy features in movie theaters, and Boyd licensed reissue distributor Film Classics to make new film prints and advertising accessories. Another 1950 enterprise saw the home-movie company Castle Films manufacturing condensed versions of the Paramount films for 16 mm and 8 mm film projectors; they were sold through 1966. Also, in January 1950 Dan Spiegel began to draw a syndicated comic strip with scripts by Royal King Cole; the strip lasted until 1955. Boyd began work on a separate series of half-hour westerns made for television; Edgar Buchanan was his new sidekick, Red Connors (a character from the original stories and a few of the early films). The theme music for the television show was written by Nacio Herb Brown (music) and L. Wolfe Gilbert (lyrics). The show ranked number 7 in the 1949 Nielsen ratings, number 9 in the 1950-1951 season and number 28 in 1951-1952. The success of the show and tie-ins inspired juvenile television westerns such as The Range Rider, Tales of the Texas Rangers, Annie Oakley, The Gene Autry Show, and The Roy Rogers Show. Universal monster movies also had obvious appeal to young boomers. It's not a coincidence that Hammer got into the business of horror in the late fifties. But the Universal stars were still the icons. Phantom was about as obscure as you could get in 1952. I cut off the graph at 1985 for obvious reasons. Bull almost showed up in an aerospace post I wrote recently. I can't remember what I had planned for Vidocq. Both are too interesting not to at least mention. Gerald Vincent Bull (March 9, 1928 – March 22, 1990) was a Canadian engineer who developed long-range artillery. He moved from project to project in his quest to economically launch a satellite using a huge artillery piece, to which end he designed the Project Babylon "supergun" for the Iraqi government. Bull was assassinated outside his apartment in Brussels, Belgium in March 1990. Eugène François Vidocq (French pronunciation: ​[øʒɛn fʁɑ̃swa viˈdɔk]; July 24, 1775 – May 11, 1857) was a French criminal and criminalist whose life story inspired several writers, including Victor Hugo and Honoré de Balzac. The former criminal became the founder and first director of the crime-detection Sûreté Nationale as well as the head of the first known private detective agency, Vidocq is considered to be the father of modern criminology and of the French police department. He is also regarded as the first private detective. Mark Twain probably never said "Whiskey is for drinking; water is for fighting over." But he did have some sharp observations on the former in what may be my favorite of his books. How solemn and beautiful is the thought that the earliest pioneer of civilization, the van-leader of civilization, is never the steamboat, never the railroad, never the newspaper, never the Sabbath-school, never the missionary -- but always whiskey! Such is the case. Look history over; you will see. The missionary comes after the whiskey -- I mean he arrives after the whiskey has arrived; next comes the poor immigrant, with ax and hoe and rifle; next, the trader; next, the miscellaneous rush; next, the gambler, the desperado, the highwayman, and all their kindred in sin of both sexes; and next, the smart chap who has bought up an old grant that covers all the land; this brings the lawyer tribe; the vigilance committee brings the undertaker. All these interests bring the newspaper; the newspaper starts up politics and a railroad; all hands turn to and build a church and a jail -- and behold! civilization is established forever in the land. But whiskey, you see, was the van-leader in this beneficent work. It always is. It was like a foreigner -- and excusable in a foreigner -- to be ignorant of this great truth, and wander off into astronomy to borrow a symbol. But if he had been conversant with the facts, he would have said: Westward the Jug of Empire takes its way. Now back to the fighting part (thank God, we've got a grown-up in charge again). I came across this concept recently and it got me to thinking about an ongoing conversation I've been having for years now wwith my co-blogger, Joseph. The Gish Gallop is the debating technique of drowning the opponent in such a torrent of small arguments that their opponent cannot possibly answer or address each one in real time. More often than not, these myriad arguments are full of half-truths, lies, and straw-man arguments — the only condition is that there be many of them, not that they be particularly compelling on their own. They may be escape hatches or "gotcha" arguments that are specifically designed to be brief, but take a long time to unravel. Thus, galloping is frequently used in timed debates (especially by creationists) to overwhelm one's opponent. Examples are commonly found in "list" articles that may claim to show "100 reasons for" something, or "50 reasons against" something. At this sort of level, with dozens upon dozens of minor arguments, each individual point on the list may only be a single sentence or two, and many may be a repeat or vague re-wording of a previous one. This is the intention: although it is trivial amount of effort on the part of the galloper to make a point, particularly if they just need to re-iterate an existing one a different way, a refutation may take much longer and someone addressing will be unable to refute all points in a similarly short order. If even one argument in a Gish Gallop is left standing at the end, or addressed insufficiently, the galloper will attempt to claim victory. The term was coined by Eugenie Scott of the National Center for Science Education, named after creationist Duane Gish. Creationists are fond of it; see "101 evidences for a young age of the Earth and the universe" for example, which is perhaps the most stunning case. Sam Harris describes the technique as "starting 10 fires in 10 minutes." I tend toward exhaustive arguments, taking an opposing position and attacking every flaw I can find. Joseph has frequently pointed out the practical flaw in that approach: even if every point is winnable, by opening up so many fronts, your opponent can pick points that distract from the main argument. Worse yet, your opponent can just keep moving from point to point, making it next to impossible to construct a coherent argument. The result is a rhetorical draw. I'm trying to be more disciplined about my arguments, but blogging has a way of encouraging bad habits. "Whiskey's for drinking. Water's for fightin' over." I remember my surprise the first time I saw rice growing in the Central Valley. It didn't seem like a very profitable crop to grow in the desert. It wasn't until later that I learned about certain externalities that came into play. SAN FRANCISCO -- California's drought-ravaged reservoirs are running so low that state water deliveries to metropolitan areas have all but stopped, and cutbacks are forcing growers to fallow fields. But 19th century laws allow almost 4,000 companies, farms and others to use an unmonitored amount of water for free -- and, in some cases, sell what they don't need. However, the state doesn't know if any are overdrawing or wasting water. The AP found the state's system is based on self-reported, incomplete records riddled with errors and years out of date. "We really don't know how much water they've actually diverted," said Bob Rinker, a manager in the State Water Resources Control Board's water rights division. With a burgeoning population and projections of heightened climate-related impacts on snowpack and other water supplies, the antiquated system blunts California's ability to move water where it's most needed. When gold miners flocked to the West in the 1800s, the state drafted laws that rewarded those who first staked claims on the region's abundant rivers and streams. Today, California still relies on that honor system. The system's inequities are particularly evident in the arid Central Valley. "No one thinks of it when there's ample water and plenty to go around, but in these times of tightness it is a very contentious resource that gets fought over," Sheppard said, standing next to his flooded fields. I hope to get back to this soon. In the meantime, here's some data from the AP and a related article from the Washington Post. The filmstrip was a common form of still image instructional multimedia, once commonly used by educators in primary and secondary schools (K-12), overtaken at the end of the eighties by newer and increasingly lower-cost full-motion videocassettes and later on by DVDs. From the 1940s to 1980s, filmstrips provided an easy and inexpensive alternative to 16mm projector educational films, requiring very little storage space and being very quick to rewind for the next use. Filmstrips were large and durable, and rarely needed splicing. They are still used in some areas. A filmstrip is a spooled roll of 35 mm positive film with approximately thirty to fifty images arranged in sequential order. Like 16 mm film, a filmstrip was inserted vertically down in front of the projector aperture, rather than horizontally as in a slide projector. Therefore, the frame size is smaller than normal 35 mm film. Two image frames of a filmstrip take up the same amount of space as a single 35mm frame, including its guard band, so that a 25 exposure 35mm film can contain fifty filmstrip images. Early celluloid filmstrips had a habit of melting or combusting from the intense and sustained heat of the projection lamp. These were called pictural filmstrips, the first filmstrips that were produced in a complete set[clarification needed]. Typically, a filmstrip's running time was between ten and twenty minutes. Depending on how they were narrated or produced, filmstrips (which often came with an instructor's guide) were flexible enough to be used in both self-paced learning formats or a full classroom. In addition to a standard classroom wall or screen projector, personal film display units were available with a screen size of approximately eight inches diagonal for up-close viewing by one or two people. The instructor would turn on a filmstrip projector that would show the first frame (image) of the filmstrip. The instructor then turned on a 33 RPM record or cassette tape containing the audio material for the filmstrip which included narration. At the appropriate point, a tone would sound, signaling the instructor to turn a knob, advancing to the next frame. Later, technical improvements allowed the projector to advance the film automatically. There is something overwhelmingly quaint about these old filmstrips and learning machines and scratched 16mm movies. It is easy to get distracted by the antiquated analog quality, to focus too much on the technology and not enough on the underlying pedagogy. This, of course, begs the question: why should we care? Other than misplaced nostalgia, what is the value in studying this outmoded educational media? The answer is that we are currently investing a lot of money and even more hope into the idea that technology can fix many if not most of the pressing problems in our educational system. Add to that, the fact that we have been at this now for over a century. These previous technologies were launched with similar rhetoric and expectations and most if not all either severely underperformed or failed outright. The case for learning exactly what went wrong seems fairly obvious. Harold Dexter Hoopes illustrates Danse Macabre by Camille Saint-Saëns. That Keynes quote alone is worth a mega-thread. The sad part is I'm pretty sure someone would publish it and I'm sure a number of news outlets would pick it up. Is the attitude toward Israel another left/right axis shift? I've been thinking for a long time about the different components of the liberal conservative spectrum and the ways they move and interact (this comes up a lot when you dig into the education reform debate). One point of particular interest is the catastrophic shift, cases where the "liberal" and "conservative" positions on an issue suddenly switch places. We've already discussed pacifism. Now this post by Corey Robin (followed by some excellent comments) has me wondering if attitudes about Israel have undergone a comparable shift. The piece also made me think, though, about the initial reaction to Israel’s decision to try Adolf Eichmann. The response to that decision, as historians like Peter Novick and Deborah Lipstadt have shown, was rife with anti-Semitism. The Wall Street Journal warned darkly of “an atmosphere of Old Testament retribution.” A Unitarian minister, according to Novick, claimed “he could see little ethical difference between ‘the Jew-pursuing Nazi and the Nazi-pursuing Jew.’” Those unitarian universalists. The worst offender, though, was National Review. Combining all the elements of anticommunism, Christian homiletics, and ancient Jew-hatred, William F. Buckley’s magazine castigated the Israelis—really, the Jews, those Shylocks of vengeance and memory—for their inability to let bygones be bygones. I assume support for Israel is now stronger on the right than on the left. Is that true? Brad DeLong has an interesting post (from, believe it or not, Laura Ingalls Wilder) that fits in with one of my favorite ongoing threads, the unprecedented transformation of every aspect of life (at least in places like America) that occurred late in the Nineteenth and early in the Twentieth Centuries. One of my big complaints about tech journalism is the lack of historical context. Reporters see technology changing the world around them and, through a combination of historical illiteracy and self-absorption, they assume this makes them special. There's no question that technology has had a big impact on our lives over the the past dozen or so years, but in most ways, 2003 doesn't seem that different. For Wilder in 1911, 1899 was, in almost every respect, another world. A gaming and Shakespeare blog (no joke, it really exists) had a nice argument for why driver-less cars are unlikely to greatly reduce the number of cars needed. Well worth a quick read.